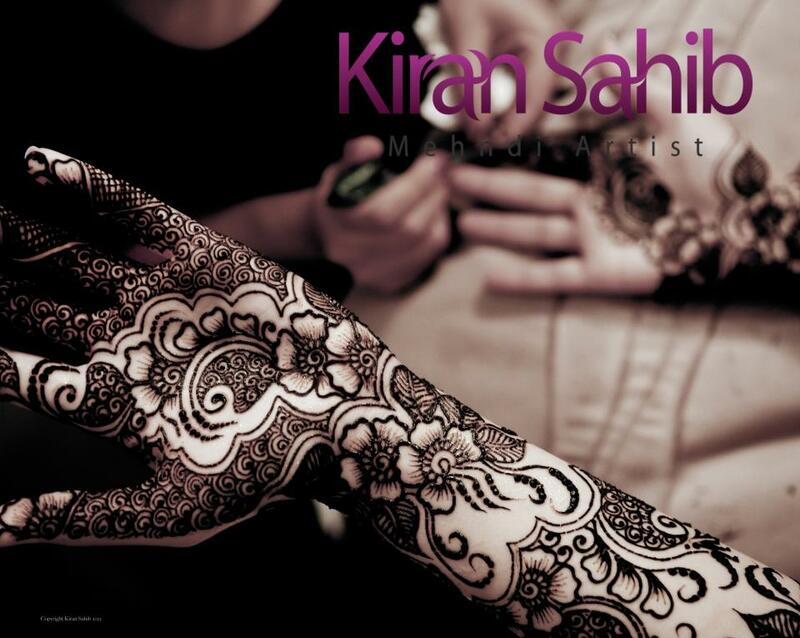 Another talented bridal mehandi artist – Kiran Sahib from London UK. Here’s the interview Zuri had with her, in her own words. My previous two interviews had been with Laraib from Pakistan and Sumeyya from Chicago. This time I bring you a lovely artist from London. Kiran Sahib is an internationally recognized henna artist who is both highly creative and inspirationally unique. She takes great pleasure in creating innovative and visually stunning mehandi art for her clients. 1. Tell us about yourself – when did u begin doing this? With over 9 years of experience in the henna industry and a background in art, I had always been passionate about henna. I don’t have any particular favorites to be honest. Most of them have the same theme running through and it’s not often that I deviate from the ‘nature’ theme just because it is what my clients ask for time and again. The brides in the UK aren’t too fond of extreme henna the way our Indian and US counterparts are and prefer to have a medium coverage and just a little bit on the feet too. 3. What makes you different from the other bridal mehandi artists around? I have been known for my distinctive, clean, flowing and contemporary art and am heavily influenced by Indian and Arabic art. They incorporate images from nature, including flowers, leaves and birds. 4. 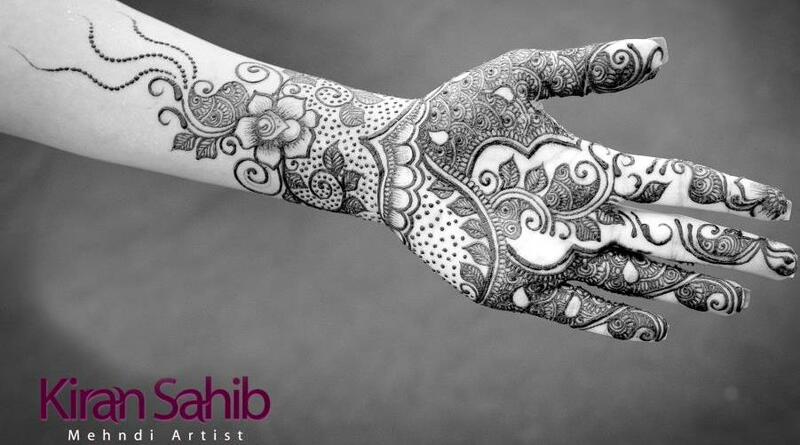 How important is it to choose a good/professional mehandi artist for one’s wedding? What tips can you give the brides-to-be? Having your henna done in preparation for your wedding is a beautiful, emotional, exciting and important experience. Make sure that the artist understands how you feel. Does he/she make you feel at ease and comfortable in their presence? Do they allow you to express exactly what you want from the mehandi? These are a few questions you should ask yourself and the artist you intend to hire. 5. What are your other passions besides mehandi and how do you unwind at the end of a tiring day? My facebook page is Kiran Sahib Mehandi Artist and my website is http://www.kiransahib.com. Enjoy mehandi art by Kiran Sahib. (Published with permission of kiransahib.com. Please don’t use these images without permission from the original source). Oh wow, this is just gooorgeous! I always use henna to color my hair, but I’ve never had a henna tattoo. These designs are just stunning. It’s great! I had mehendi on my hand when I was in Chennai, it’s not known in my country – Poland – at all.